James Edward “Bud“ Laughy III, of Sanbornton, died on December 2, 2018 at the age of 89 in the loving arms of his with Ruth. He was born in Sanbornton, N.H. on March 12th, 1929 the son of James E Laughy II and Verona M. (Jackson) Laughy. He married Anita (Laroche) Laughy in 1948 and they had 5 children. Mr. Laughy lived most of his life in Sanbornton except from 1959 to 1971 when he moved his family to Franklin, NH so their children could attend St. Mary’s School. Mr. Laughy built four homes in Sanbornton for his family, one of which he developed as a tree farm. Mr. Laughy was educated in the Sanbornton and Franklin school Systems and continued his education through his working life. He was employed by the Cantin Chevrolet Co. in the 1950's and was an on call police officer for the Town of Sanbornton during that time. Mr. Laughy was employed by the Arwood Corp. for more than twenty five years where he held several positions in the company. He worked as a research technician for the aerospace industry in the 1960's. He held the position of customer account Manager, Sales Engineer in the Boston sales office for a time and prior to his retirement in 1984 he became the company Safety and Health Director. He established the Occupational Safety and Health Program (OSHA) for the company and the self-insured Workers Compensation Program. He was a member of the New Hampshire Safety Council and served on the Executive board. Mr. Laughy retired from the Arwood Corp. in 1984 and started a new career with the State of New Hampshire in the Department of Transportation. He again retired in 1991 but stayed on call until 1998. Mr. Laughy was a Boy Scout leader and one of the originators of Pack 282 in Sanbornton. He was a past member of the Society of Metals, member of the International Management Club, a charter member of the Lakes Region Management Club. He was a life member and Past Grand Knight of the Knights of Columbus, Council 2170 and 12147 in Franklin, a member of the 4th Degree Assembly and former District Deputy. He was also past president of the N.H. Chapter of the Muscular Dystrophy Assn. of America. He served on the board of Trustees of the Franklin Regional Hospital for 13 years from 1972 to 1985. 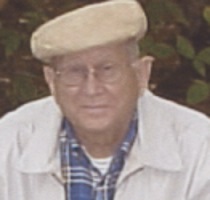 Mr. Laughy did extensive family genealogy traveling to Canada and throughout the United States and published the Laughy Genealogy book in 1993. He authored an award winning book My Story dedicated to his late wife Anita that was published in 2009. In 2012 he wrote and published a self-help book How To Get Ahead Of Money and dedicated it to his family. Mr. Laughy was a lover of the out of doors, working his heavy equipment, hunting, fishing and especially traveling. He and his wife Anita traveled throughout Canada and the United States after retiring and sometimes wintered in Florida and Arizona. His family will remember him as a “get it done” guy, generous and fair, who dearly loved his family and dedicated his life to them. Mr. Laughy was predeceased by his parents in 1971, his sister Dorothy Tibbetts in 1972, his brother Harold Laughy in 1977, his son Timothy Laughy in 1986, his wife Anita (Laroche) Laughy in 2002, his brother Harry Laughy in 2004, his Sister Helen Sapp in 2007, his daughter Cindy (Laughy) Merchant in 2012, and his sister Shirley Gignac in 2017. He is survived by his wife Ruth (Pease) Laughy, his sons James (Skip) Laughy and wife Richel; and Patrick Laughy and wife Roxanne. His daughter, Anna (Laughy) Morrison and husband Robert, and his son-in-law Rickey Merchant and wife Heidi. His step-daughters, Marjorie Malfitani and husband Joe; Cynthia Yost and husband Jeff, his 13 Grandchildren and 19 Great Grandchildren whom he was so proud of. He is also survived by his sisters Jean Paquette and Eileen Champoux; his brother Alan Laughy; his brothers-in-law, Jean Auger and wife Evelyn; Archie Auger and wife Patricia; Mike Gignac; and Jim Sapp and sister-in-law, Marcelle Abear, and many, many nieces and nephews. Visiting hour will be held on Thursday, Dec.6, 2018 from 5-8:00 pm at Thibault-Neun Funeral Home, 143 Franklin St., Franklin. A Mass of Christian Burial will be celebrated on Friday, Dec. 7, 2018 at 11 am in St. Paul Church, Franklin. Spring Burial will be in the family lot at Franklin Cemetery. Memorial donations could be made in his name to St. Gabriel Parish, PO Box 490, Franklin NH 03235 or to the Muscular Dystrophy Association, 1 Sundial Ave., Suite 210, Manchester, NH 03103, or the Payson Center for Cancer, 250 Pleasant St., Concord, NH 03301.